This month she has been laughing at lot more. 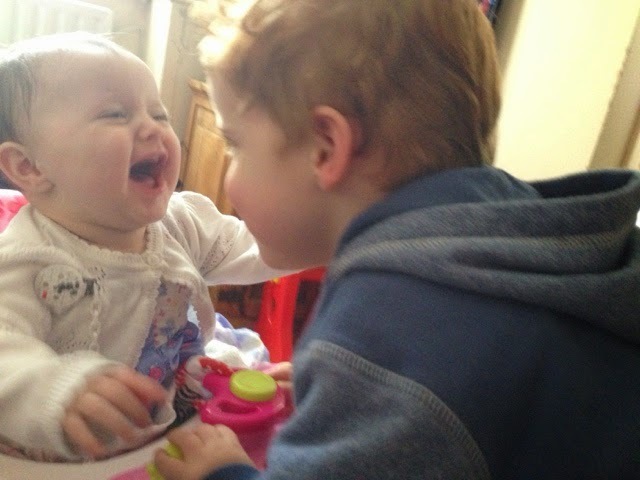 Her big brother is her favourite thing to laugh at. He doesn't even need to be doing anything, she just finds him hilarious! 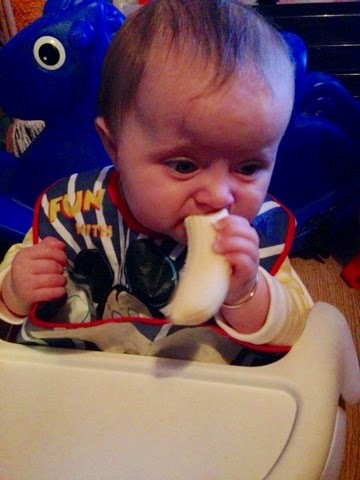 Weaning is still going well. I'm doing a combination of BLW and spoon feeds and she is enjoying both. 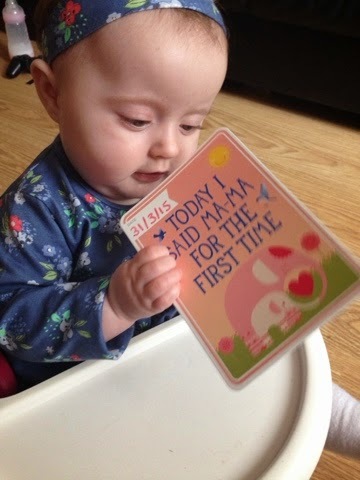 With the BLW, she can get a little frustrated when she drops things but luckily mummy is there to help! She's trying to crawl! C wasn't interested in crawling at all but his sister is the opposite. She's so nosey and just wants to get about. She's also been walking in her walker. We only bought it a few weeks ago and she is already like a pro and is speeding around the house. 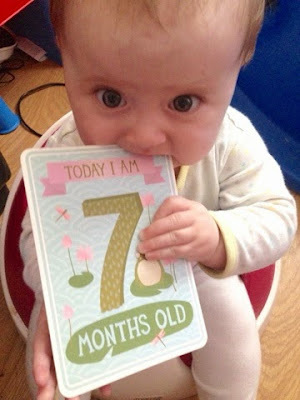 We started off the month with her babbling but the biggie happened! I'm SO glad she said "mama" first. C's first word was "dada" so we got one each - ha! I've bumped her up to size 4 nappies. She is such a chunk but I'm unsure of what she weighs. She is still in 6-9 month clothing and she has three meals a day and three 7oz bottles. I'm thinking of reducing them as I feel it might be too much?